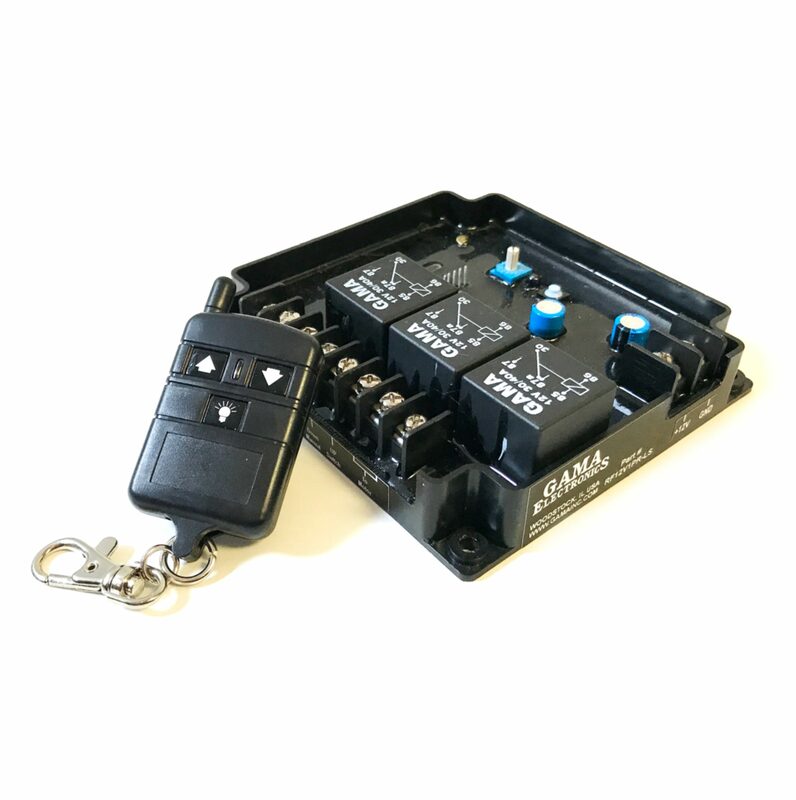 RF Remote Control System, Reverse Polarity 12VDC Motor Control with Auxiliary Switch and Limit Switch Functionality. 12VDC Polarity Reversing R.F. 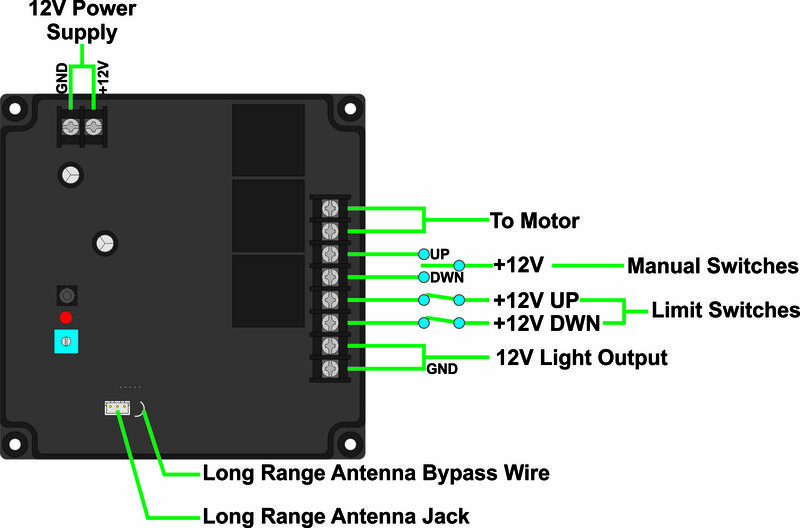 Remote Control transmitter and receiver are designed for bi-directional control of DC motors. The output relays are rated at 30A @12VDC. 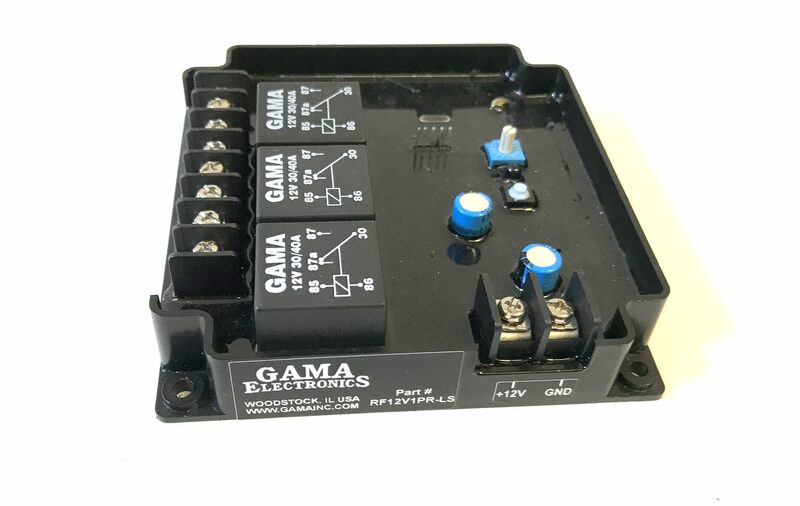 This system is ideal for controlling gates, lifts, jacks, winches, slide-outs, awnings and agricultural applications where 12 VDC polarity reversing DC motors are used. 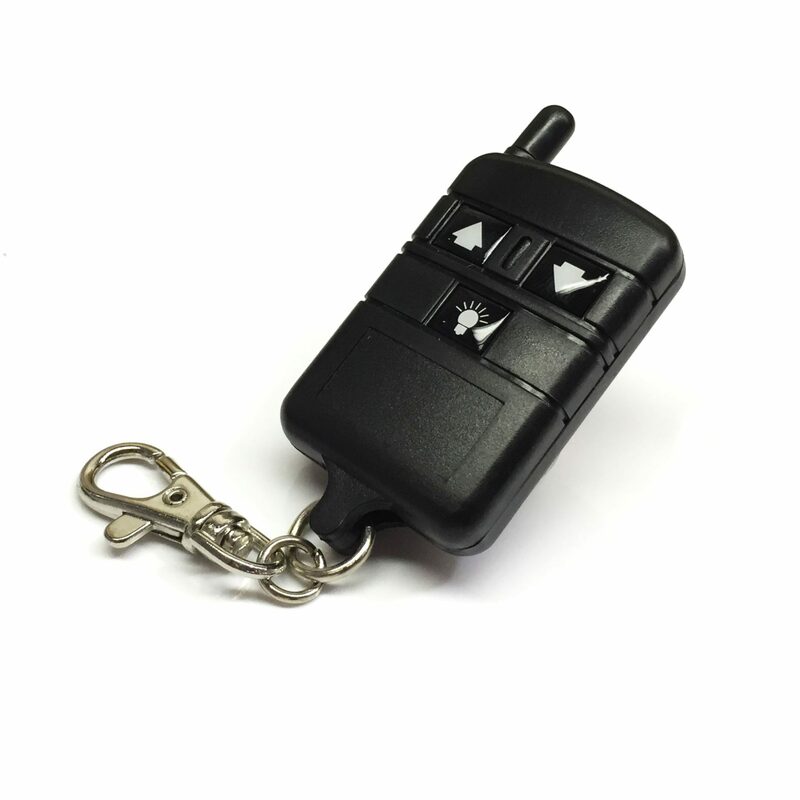 The keyfob transmitter has three buttons. The left button runs the motor in one direction and right button runs the motor in the opposite direction. There are provisions for a manual switch that allow for an auxiliary On-Off-On switch to be connected. This permits operation of the control without using a transmitter. The control also has provisions for two normally closed limit switches. 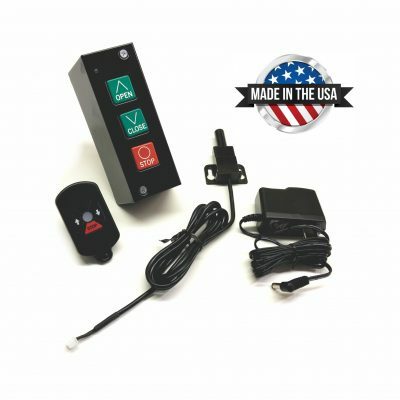 The control can be configured for either momentary or latching operation. In the momentary mode, the motor will operate as long as the buttons are held down. In the latching mode, pressing either button will start the motor and pressing the button a second time will stop the motor. The auxiliary switch leads only provide momentary operation. Loss of signal from a limit switch will also stop the motor in either mode. 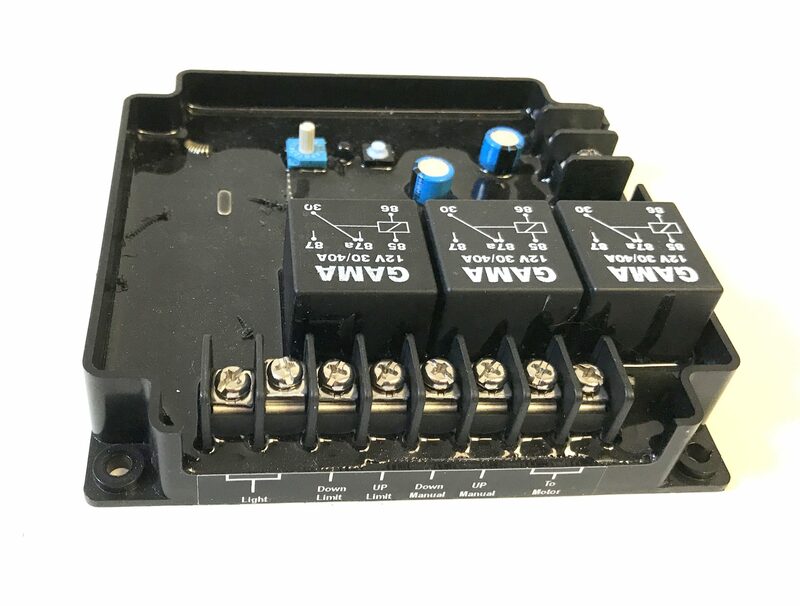 The RF12V1PR-LS incorporates output current detection that will disconnect the output when the output exceeds the current setting of the DIP switch. 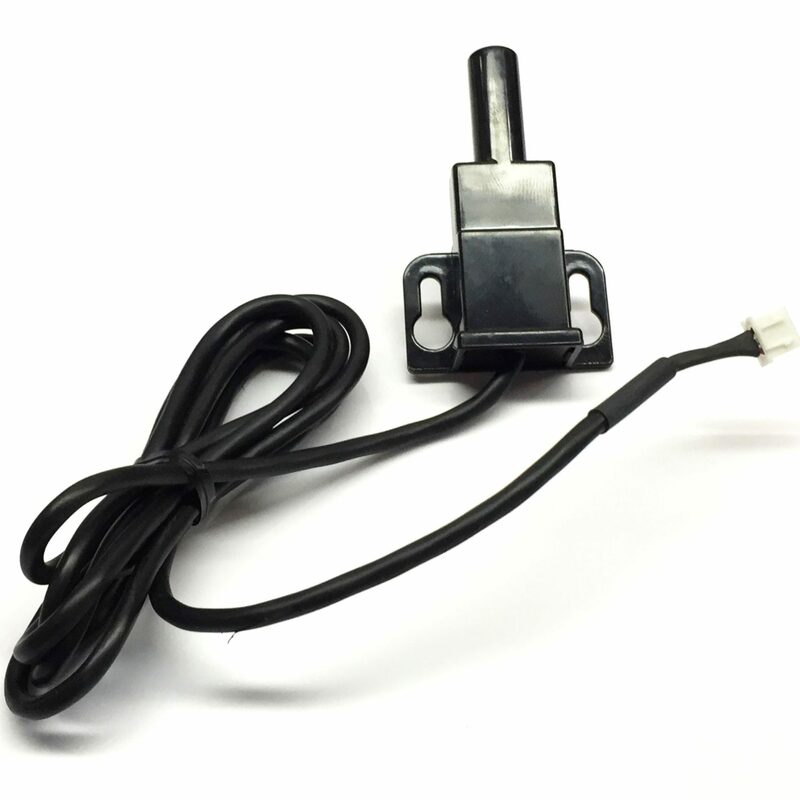 The DIP switch allows the user to set the current sensing level from 5A to 30A. When the current shutdown activates, the output is shutdown for 5 seconds. After the 5 second reset time the output can be activated by the pressing the corresponding switch on the transmitter. A 3rd button on the transmitter is included for the 12VDC light output. 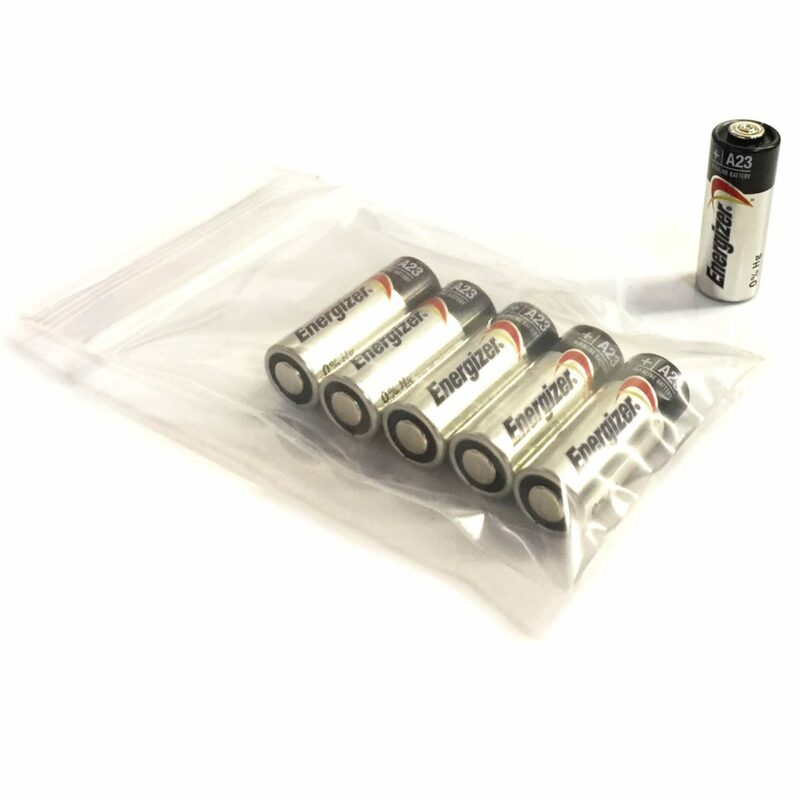 The receiver electronics are encapsulated for waterproofing and it is suitable for use in harsh environments. Operating temperature range – 0° F to 160° F. The robust ABS enclosure dimensions are approximately 5″ L x 5″ W x 1″ H.